Seven-year-old Terrier mix dog named Oscar from Grand Rapids, Mich., was having the time of his life on Jan 21, 2015. The ground was frozen and covered with snow, nothing looked more majestic than the great outdoors at Riverside Park. However, one wrong turn landed the pooch on thin ice and in a matter of seconds Oscar was fighting for his life. Knowing that it was too dangerous to attempt a rescue mission, Oscar’s owner called authorities and the Grand Rapids River Rescue came to the dog’s aid. 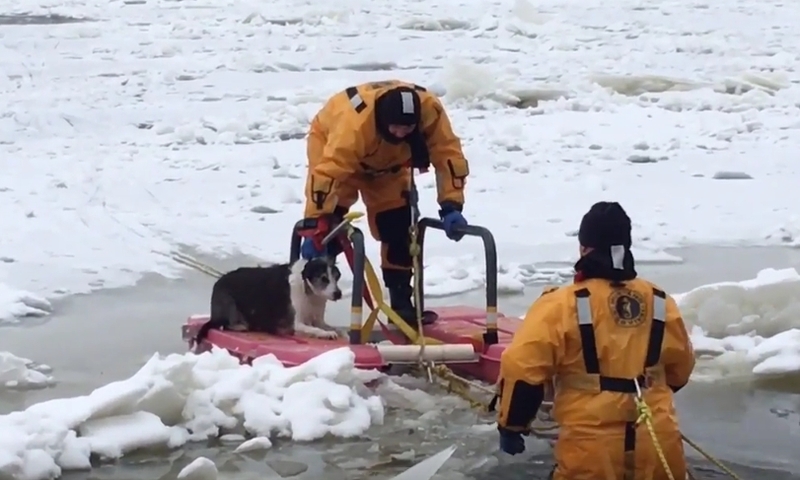 Using ropes, ice floats and protective body suits, rescuers headed into the icy river to rescue the dog. It took a while but the mission was a success. Oscar was pulled out of the water and saved. 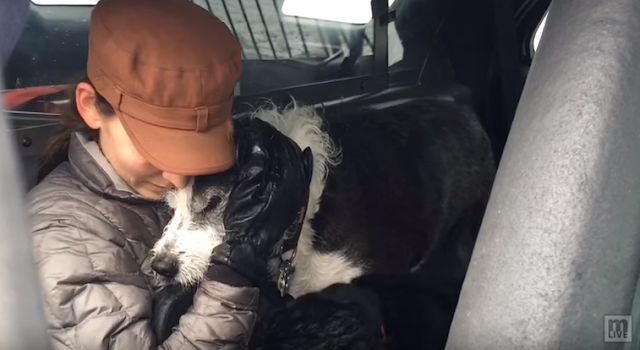 The dog reunited with his worried and grateful owner while he warmed up inside a police patrol’s car. Responses to "Grand Rapids River Rescue save a 7-year-old dog from icy river "
When it comes to rescuing, man or animal, these guys give it their all. Love an rescue agency.